Comprehensive videos with clear, insightful explanations from Cambridge academics. 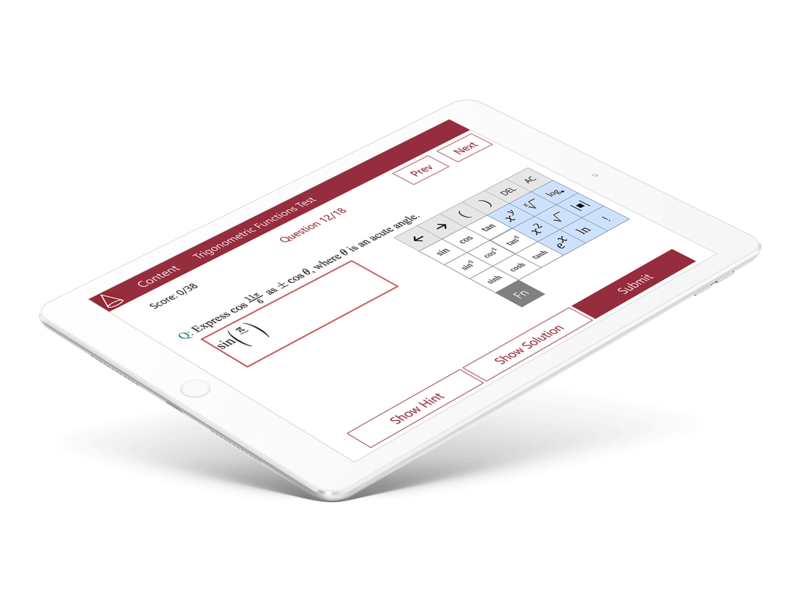 Advanced maths testing with strong formula support, giving instant feedback and analytics. Interactive graphs which build up step by step and make hard concepts easy. If you’re a teacher or a student, or work in education, we’d love to hear from you. Email us at contact@mathspire.com or call us on +44 7506 900850.